This device counts the steps of x, y, z, a, b, c steppermotors. It is counted from the step signals sent out from the microcontroller. 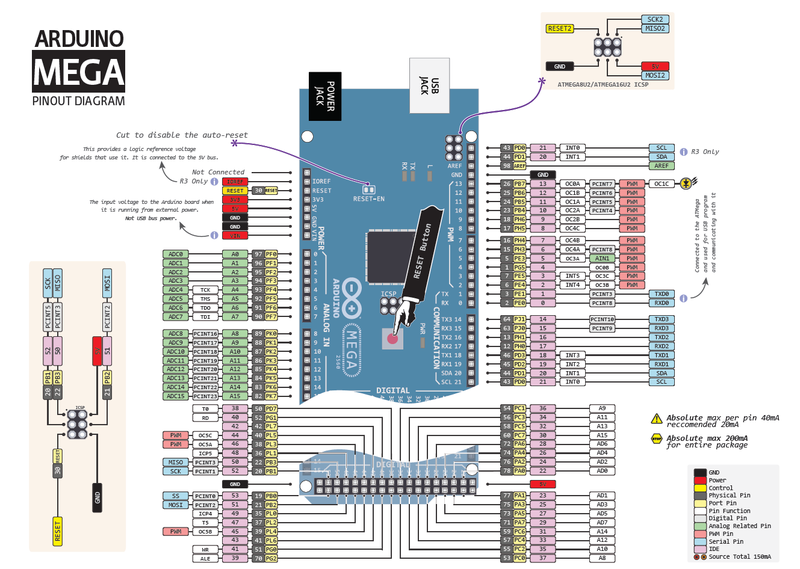 How to test the step counter on Arduino Mega? For help, here is the Arduino MEGA 2560 pinout (look at the numbers with the pink background). You can download the Hungarian user's guide from here. type String "OzStepCounter" Determines the type of the device. This event is sent out if we measure stepper motor movement signals. If a motor is not ordered to move, it won't send anything about that motor. c String "went_event" Identifies the event. Axis value (x | y | z | a | b | cs) +/- Unsigned Long Int -4294967295 to 4294967295 Determines which motor was ordered to move and how much steps in which direction. Motors can be <x, y, z, a, b, cs>. The last motor is called cs, since 'c' is already used as a command and event identifier.